In Part 1 of this series we looked at the reason behind God gave the Old Testament Law to Israel and why He never meant for us to live under it. In this article we will see why it’s impossible to actually try to live according to the Law. The Galatian Christians didn’t renounce Jesus as being their Messiah, but legalistic Jews had convinced them that they couldn’t be right with God by only believing in what Jesus had done. 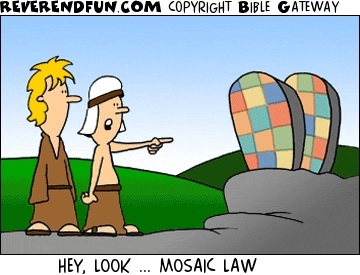 They were being told they also had to keep the Old Testament Law in order for God to accept them. The same lie is being propagated today, except now it’s said we have to be holy. “We have to be holy, or the Lord won’t accept us or answer our prayers”, etc. Lots of people love to quote Lev 11: 44-45 out of context, where God tells Israel: “Be Holy, for I am holy”. Now we know that living a holy life is not a bad thing, but when we try to live holy in order to gain God’s approval, it is not the Gospel. Someone cannot just choose to adhere to one (or some) law and not adhere strictly to all the others, or this would literally demonstrate Pharisaic hypocrisy. This means that now the Father doesn’t just see us as if we had never sinned, He sees us as if we had also obeyed all the laws our entire life! Jesus took upon Himself what we deserved (our punishment) and gave to us what He deserved (the Father’s approval & blessings for 100% complete obedience). Wouldn’t you agree that this sounds like a pretty good deal? 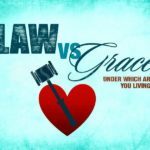 Are Christians lawless without the law of Moses?